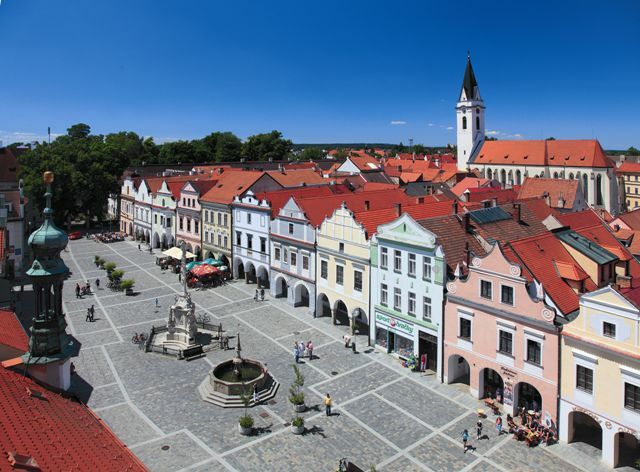 The location of Třeboň, a city in the middle of a protected landscape area in South Bohemia, makes it one of the most popular tourist destinations in the Czech Republic today. 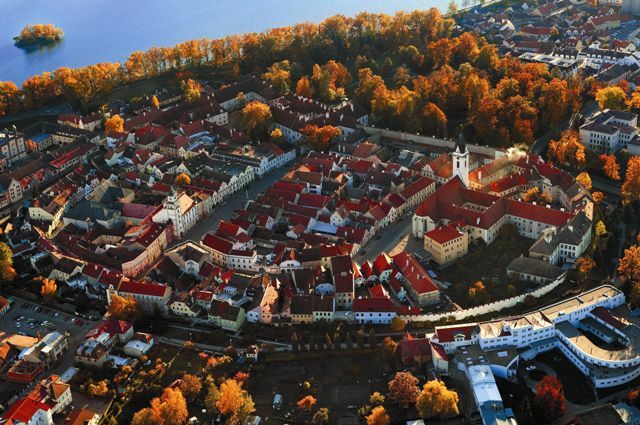 Not only does the city possess a historical centre and spas, but it is surrounded by forests and lakes of the “Třeboňská Pánev” (Třeboň Lowlands – 400 to 500 metres above sea level). The city lies near the Austrian border between the cities of České Budějovice and Jindřichův Hradec. 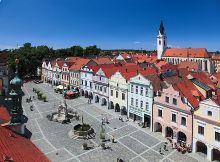 The history of Třeboň dates back to the 12th century. 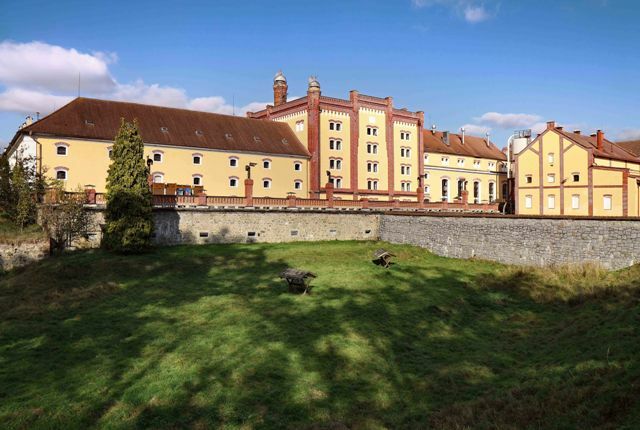 Its unique and wellpreserved historical complex of castle and burgher houses, the Augustinian Monastery and church, the fortification with town gates – this was all founded through the wealth of the local noble family. Their prosperity and power is most notable in the spectacular reconstruction of the palace into a representational residence. The city was declared a municipal historical preserve in 1976. The original name of the settlement was Wittingau or Witknow, Witigenowe (Vítek’s meadow). It was named after its holder Vítek. The name Třeboň is probably derived from the old Czech phrase ‚tříbit půdu‘ which meant to refine or cultivate soil. The Czech name Třeboň was first documented in 1365. The city’s surroundings, originally being swamps and wetlands, have been transformed into an ingenious system of lakes and ponds over the centuries. This area is now sought after by nature lovers for its unique natural beauty as well as by scientists for its concentration of unique natural biotopes. The area, collectively known as “Třeboňsko”, meaning Třeboň and its surrounding area, is not an original authentic landscape but rather is a land reconstructed by human hands from Medieval times. Nonetheless, it was added to UNESCO’s list of 400 biosphere reservations in 1977. The protected landscape area of Třeboňsko (700km2) was declared in 1979. Třeboň is concisely characterized by three symbols: the five-petalled rose, the carp, and the spa. The five-petalled rose refers to the city’s history, especially to its period of greatest development during the reign of the Rožmberk (Rosenberg) family. As for the Třeboň carp, there are more than 500 lakes in sixteen connected networks in the city’s surroundings. 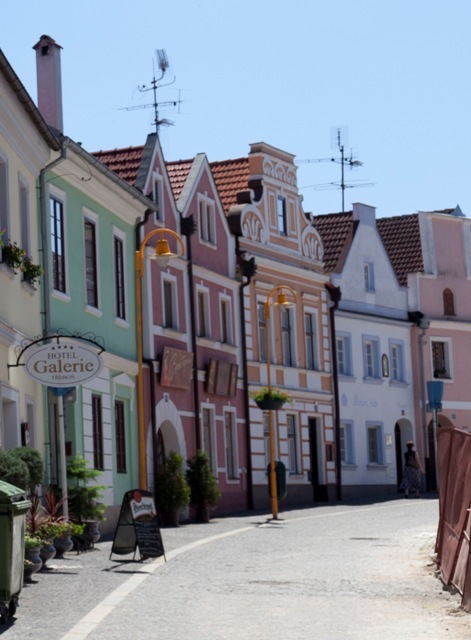 This area is the largest producer of freshwater fish not only in the Czech Republic, but in all of Europe. The spa tradition in Třeboň dates back to 1883, when peat was a local source of healing treatments used in the spas. Nowadays the modern spa complex focuses on the treatment of bones, muscles and joints as well as relaxation stays. One of the modern symbols of Třeboň is doubtlessly the bicycle – this is one of the best ways to spend an active vacation. Another symbol of the Třeboň of today is the smokestack, representing the sweet aroma of beer brewing to perfection in the local Regent brewery.